Ann Fitzgerald stepped down as CEO of the National Consumer Agency in October - and the agency must now legally look to replace her, even though it is shortly to be abolished. THE NATIONAL watchdog in charge of upholding consumers’ rights is advertising for a new chief executive – despite the body being marked for closure in the near future. The National Consumer Agency is seeking to appoint a new CEO, with a salary of over €130,000 – even though the body has been designated for merger with the Competition Authority. The agency’s previous chief executive, Ann Fitzgerald, stepped down at the end of October, with the job vacant since then – but legal requirements mean the position must be advertised and filled, even though the job will then cease to exist. Under the terms of the current deals on pay for public servants, employees of any level cannot simply be laid off, even when the bodies they work in are to be restructured – and instead are entitled to be assigned to jobs elsewhere in the public service while keeping their original pay grade. The body being created by the NCA’s merger with the Competition Authority will not have a chief executive post – but will instead have a chairman and up to six ordinary members, who will report directly to the enterprise minister, Richard Bruton. The issue was raised in the Seanad this afternoon by Fine Gael senator Catherine Noone, who implored the government to act more quickly to merge the two bodies instead of being forced to appoint someone to a job that would shortly be abolished. Noone said she understood the legal need to appoint a new chief executive, but special legislation should be pursued “in circumstances where money is tight for the country” and urged Bruton to trigger the merger as quickly as possible. A spokesman for the National Consumer Agency said the it was anticipated that the new appointee would retain responsibility for consumer affairs under the aegis of the new body, and that there was as yet no official timetable for the merger to be completed. “The role will change and the NCA’s CEO will be a member-designate of the new merged entity,” the spokesman said. Email “Consumer body seeking €130k chief executive for soon-to-be-merged body”. 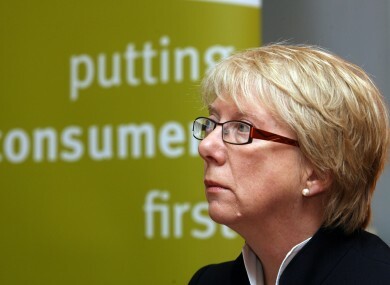 Feedback on “Consumer body seeking €130k chief executive for soon-to-be-merged body”.